Certification of franchisees and their employees has long been a means of controlling brand quality in franchising. 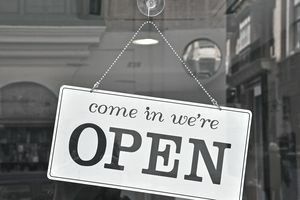 By requiring that franchisees and their team's complete standards-related training programs, the franchisor hopes to ensure that minimum brand requirements will be met in all locations. Because of the actions of the NLRB and their goal of changing the definition of joint-employment in franchising, franchisors are looking for advice on how to continue to educate their franchisees and their staff while not risking what is expected to be NLRB’s definition of joint-employment. The challenge in accomplishing this is that the NLRB has not announced a proposed clear standard other than that “accumulating and dispensing of information” is likely one of the triggers they will use in defining joint-employment. Certifying through training programs and measured tests has been used in franchising for decades. Many franchisors include examinations with minimum scoring requirements, and some have included certification programs requiring that franchise staff meet a minimum standard of achievement. These programs have worked well, but are now the cause for some concern. What standards are recommended for the franchise in assessing whether their staff has a sufficient understanding of the material, e.g., scores on quizzes, demonstration of proficiency, etc? New franchisors may not be clear about the value that certification offers to their franchise system, nor how to execute or optimize it. Establishing and communicating clear recommended employee certification standards, optimized by franchisees, ensures the necessary level of staff and managerial training programs can be implemented. Prerequisites for Serving Customers: Must a new employee complete certain training prior to serving customers? If so, can they perform in other positions until they have completed the training provided by the franchisee? Remember, franchisees have gone to the time and expense of recruiting new employees, and getting them rapidly up to productivity is critical from the standpoint of serving customers, retaining personnel, the economics of the business, and for the satisfaction of franchisees and their teams. Duration of Training: How long should a franchisee anticipate it will take for a new employee to complete portions of any required training? This information is best conveyed as a time range since each learner works at a different pace. This will also give the franchise an indication of how long it will take for one of their new employees to get up to speed. Tests: Are there recommended tests or quizzes you can provide the franchise to assist them in completing their staff training? If yes, do you want to give the franchise some guidance on what level of initial proficiency their staff likely should achieve? You may also want to provide your franchisees with guidance (not a brand standard) on how to assess test results, and the number of times staff should be permitted to retake a test. Many franchise agreements that address unit manager training give the franchisor the right to certify and decertify that a franchisee’s manager has completed training to the franchisor’s satisfaction. Similar to employee training, questions related to the duration of training and testing required are addressed. You should also consider whether there is a required timeframe in which a manager either should or must complete training provided by the franchisor. While it can be advantageous for managers to complete training even before assuming the role, it can also be argued that getting their feet wet in the position can make training more meaningful, since they will have a frame of reference for what is being taught. You may want to recommend that a manager works in their position for a period of time (e.g., a minimum of three months prior but not more than six months) without completing certification requirements. Where managers come through the ranks as assistant managers, they may already have completed significant portions of training conducted either by the franchisee directly, by the franchisor’s field staff, or at their headquarters or other training locations. The initial franchise training program generally must be completed to the franchisor’s satisfaction as provided for in most franchise agreements. Typically, initial operations and other training programs are conducted after the franchisor has invested in recruiting and screening prospective franchisees, awarded a franchise, provided some initial site development training, and then held the hand of the new franchise through site selection, lease negotiation, and build-out. From the franchisee’s perspective, he or she has taken a deep breath and jumped off a high dive to sign a franchise agreement, paid a substantial franchise fee, searched for a location if it is a brick-and-mortar concept, negotiated a lease, hired an architect and contractor, and begun building out a location. Both parties are likely assuming and counting on the franchise completing the training satisfactorily. As a result, some franchisees may come to initial franchise training not putting much weight on the fact that they need to “pass” the class by fully engaging in the program and meeting certain standards. Reading of the Operations and other manuals as demonstrated by 95% accuracy on test scores. Completion of online webinars or eLearning courses and associated tests or quizzes at 95% accuracy. Possibly working at a location, in different roles, prior to coming to training. Classroom participation in role plays along with tests or quizzes. Demonstration of proficiency in executing certain processes or procedures critical to the delivery of a product or service. If the franchisor has clearly conveyed what will be required of franchisees in training, they can at least count on franchises’ best efforts to meet the training standards. Depending on the nature of the challenge, field consultants can also be instructed to conduct focused training on certain topics or competency areas at the time of opening and at subsequent location visits. Because of the sensitivity involved, senior management should be called upon to participate in conversations with a franchisee who does not pass franchise training upon their first attempt. Turning a blind eye to poor performance in a franchise training program because it will cause strain between the franchisor and franchisee can create much bigger problems down the road; if a franchisee’s location underperforms or generates bad press for the brand, the entire franchise system can be affected. The purpose of franchisee training has not changed; however, the role of the franchisor due to actions of the NLRB may need to. It is still essential to the franchise system, including the other franchisees that share the brand, that each location operates to brand standards. Giving franchisees the tools to meet brand standards, through direct or indirect training, will not change. Providing them with HR recommendations also is not something that should be changed, as it is a franchisee’s personnel who will be delivering on your brand promise. How that information is conveyed, however, and what information is provided to franchisees, will likely need to be adjusted. As the NLRB winds its way through defining joint-employment, franchisors should continue ensuring and measuring a franchisee’s ability to deliver on the brand promise while closely examining how they enable franchisees to do so.